Find out about house survey costs, the differences between a Homebuyer Report, Building Survey and Condition Report, and what the best type of survey might be for the property you’re buying. What is a house survey? A house survey is an assessment of a property which identifies any major issues for a prospective buyer. House surveys are undertaken by chartered surveyors, who will visit the property, conduct an inspection and prepare a report outlining any problems they've found. Homebuyers generally have a survey done on a property after they've had an offer accepted. There are two main accrediting bodies for surveyors - the Royal Institution of Chartered Surveyors (Rics) and the Residential Property Surveyors Association (RPSA) - and you should check that your surveyor is a member of one of them. Rics surveyors offer three 'levels' of survey: a Condition Report (level one), Homebuyer Report (level two), and Building Survey (level three). RPSA surveyors offer different products, including the Sava Home Condition Survey, a level-two report similar to the Rics Homebuyer Report. The table below offers an at-a-glance look at the different house survey types. For further information on each type of survey, see the full descriptions below. What type of home is it suitable for? This is the most basic ‘proper’ survey you can get. It gives an overview of the property’s condition and highlights significant issues, but doesn’t go into detail. It also gives traffic light ratings for the condition of different parts of the property. A level-one survey is only suitable if you’re buying a relatively new property with no previous issues, and just want some reassurance that everything looks OK.
More detailed than a Condition Report, this type of survey should highlight any problems such as damp and subsidence. It includes advice on necessary repairs and ongoing maintenance and points out anything that doesn’t meet current building regulations. The inspection is non-intrusive, meaning the surveyor will not look behind furniture or under floorboards, so they’ll only be able to identify ‘surface-level’ issues. It generally includes a market valuation and rebuild cost, and takes around two to four hours to complete. The Homebuyer Report is the most popular type of survey, and the standard choice for most properties that are in a reasonable condition. If you’re buying an unusual or older (50+ years) property, or one that you plan to renovate or extend, it’s best to upgrade to a level-three Building Survey. This is similar to the Rics Homebuyer Report, but without the market valuation. It includes photographs to make it easier to understand and highlights issues to follow up on before purchase. It also flags up any legal questions your conveyancer should check for you. 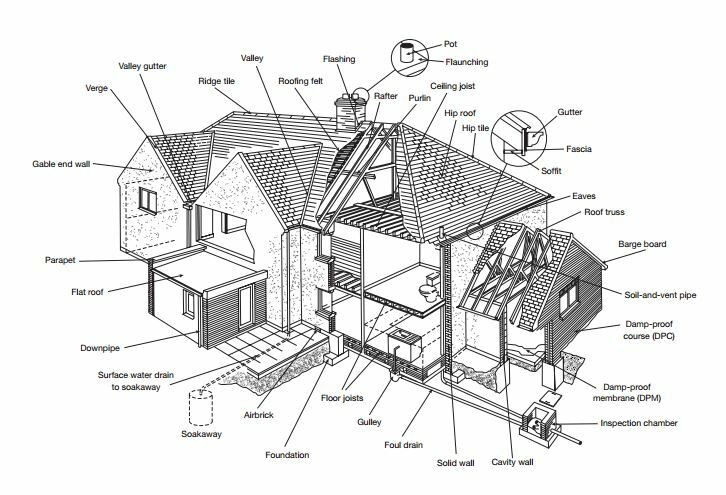 You can download an example of a Sava Home Condition Survey below. The most thorough survey you can get, a building survey provides a comprehensive analysis of the structure and condition of the property. It also lists defects and advises on repairs and maintenance. The surveyor will be ‘hands on’ and will do things such as check the attic and look under floorboards. You can ask for the report to include projected costs and timings for any repair work. A level-three survey is a good option if you’re buying a property that's over 50 years old or in a poor condition. It can also be worthwhile if you’re planning to do significant work or have major concerns about a property. It's usually only undertaken on houses, not flats. The cost of your survey will vary significantly depending on location, size and type of property. Different surveyors will also charge varying amounts, so make sure you get a few quotes before deciding who to use. The figures below give a rough idea of what you might pay depending on the price of the property you're buying. Figures gathered from designsonproperty.co.uk in October 2018. At a time when you’re already spending a lot of money on buying a house, a survey can seem like an unnecessary expense. However, it’s far better to be aware of any problems before you buy a house so that you can make an informed decision about how much you’re willing to pay for it and, if necessary, budget for any repair work that will need doing. You may also be able to use the information in the survey to negotiate with the vendor. For example, if your survey finds that you will need to undertake repairs costing £10,000 you could ask for a £10,000 reduction in price, or alternatively ask the seller to make the necessary repairs before you exchange contracts. You can find out more about negotiating in our guide to making an offer on a house or flat. When you apply for a mortgage, the mortgage lender will carry out a valuation to ensure the property is worth roughly what you're planning to pay for it. A mortgage valuation is sometimes described as a 'valuation survey', but this title is misleading. A mortgage valuation is nowhere near comprehensive enough to take the place of a proper house survey - in fact it sometimes won't even involve anyone visiting the property in person - so you should always commission your own independent survey once you've had an offer accepted. House surveyors range from local one-man bands to larger companies, but no matter who you use you should ensure they're registered with a trade association such as the Royal Institution of Chartered Surveyors (Rics) or Residential Property Surveyors Association (RPSA). Some homebuyers find surveyors through local listings or personal recommendations, while others use comparison websites or contact Rics or the RPSA directly. To find a Rics-accredited surveyor, you can visit www.ricsfirms.com, or for an RPSA surveyor, email info@rpsa.org.uk. In some cases, the estate agent or your mortgage lender may recommend a surveyor - but before going with their suggestion, you should do your own research and check you're getting the best deal, as the agent or lender will often be receiving a commission for making the recommendation. Also bear in mind that if you use your lender's surveyor, any problems they find might also lead the lender to down-value your property, meaning they offer a smaller mortgage on it. How long does a house survey take? The amount of time a house survey takes depends on the level of survey you choose and, of course, the size of the property. A level-one survey might take less than an hour to complete. A level-two survey could take up to four hours. The amount of time a full structural (level-three) survey takes varies considerably depending on the type of property you're buying, with some taking as long as a full day. When will I get my house survey report? This depends on the individual surveyor and the complexity of the report. Your surveyor will inform you how long they'll take to provide the report, but it shouldn't be longer than five days (level one or two) or 10 days (level three). House surveys are often complicated, and it can be difficult to get your head around some of the jargon. The diagram below from Rics shows the names of different parts of a building to help you decode your survey report. If you're buying a new-build home, you'll need a slightly different type of survey. A snagging survey identifies defects with a new-build home, covering everything from small cosmetic issues to structural problems. The report can be given to your developer before you move into the property so you can get any issues sorted as quickly as possible under your two-year developer warranty. Find out more: snagging surveys. If you're buying a property and want independent advice on the best mortgage for you, call Which? Mortgage Advisers on 0800 197 8461. Alternatively, complete your details below for a free call back.